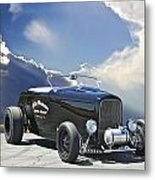 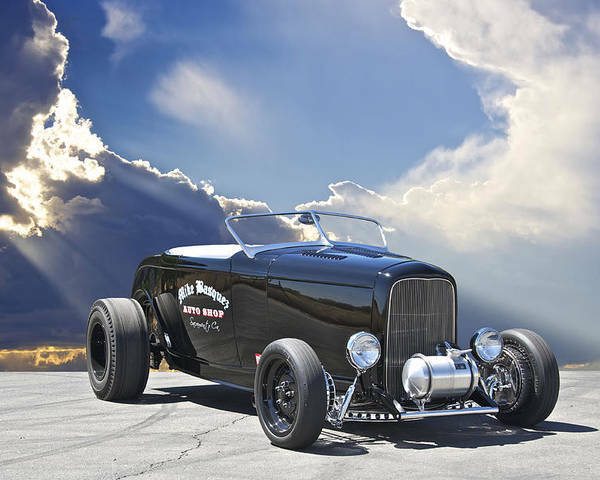 1932 Ford Roadster by Dave Koontz - 10" x 8"
1932 Ford Roadster poster by Dave Koontz. Our posters are produced on acid-free papers using archival inks to guarantee that they last a lifetime without fading or loss of color. All posters include a 1" white border around the image to allow for future framing and matting, if desired. 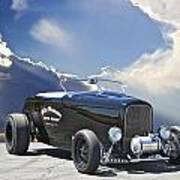 Thank you Sorin, This car is now being converted to run at the Bonneville Salt Flats next Spring.